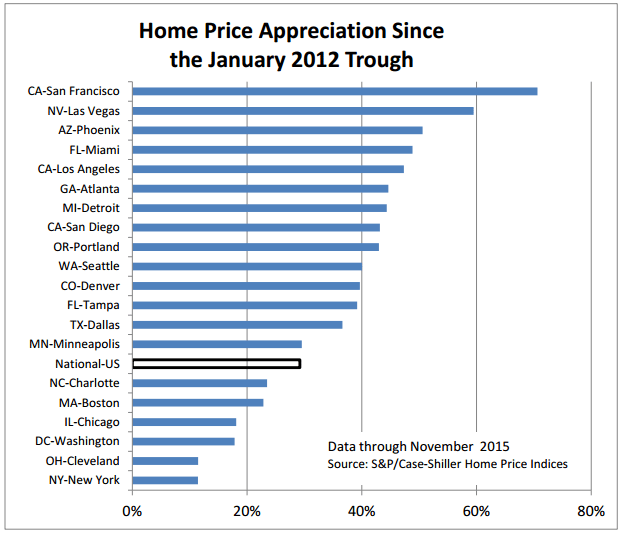 In November 2015, the Los Angeles Home Price Index was reported at 239.83. 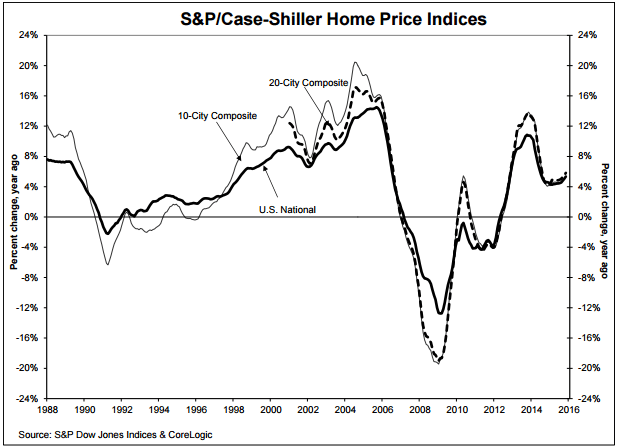 On a month-over-month basis, the Home Price Index increased by 0.3 percent. 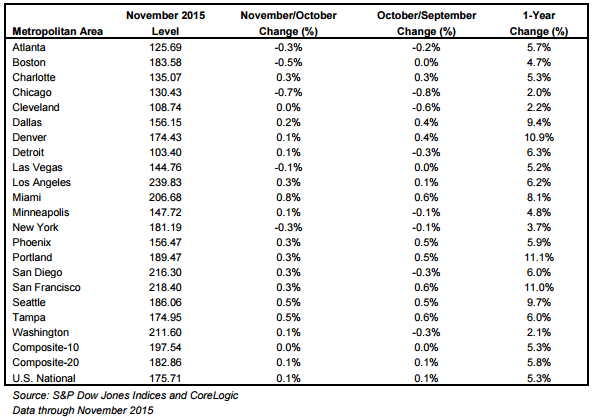 This is a slightly smaller increase compared with the September to October change, which was 0.8 percent. On an annual basis, the Los Angeles index increased by 6.2 percent, almost a full percentage higher than the rest of the nation.